–Create a project utilizing your take on the challenge. Your project must use at least one Papertrey product and frames. –Add your project to our InLinkz list below. ONLY ONE ENTRY PER PERSON PLEASE. –You will have until 6am ET, Monday, February 26th, to add your link to the list to be eligible to win. –One randomly selected winner will be chosen from ALL the entries on Monday, February 26th, after 6am. The winner will be posted here on this blog post, on Twitter and Facebook. The randomly selected winner will get a $25 PTI gift certificate to spend however they like! Congratulations, Marybeth Lopez! Please send an email to customer service and provide them with your full name and the email address you would like your gift certificate sent to. Thanks so much to everyone for playing along! Your cards are just beautiful Laurie. I love the heart embellishments, where can I buy those? Thank you for the inspiration! 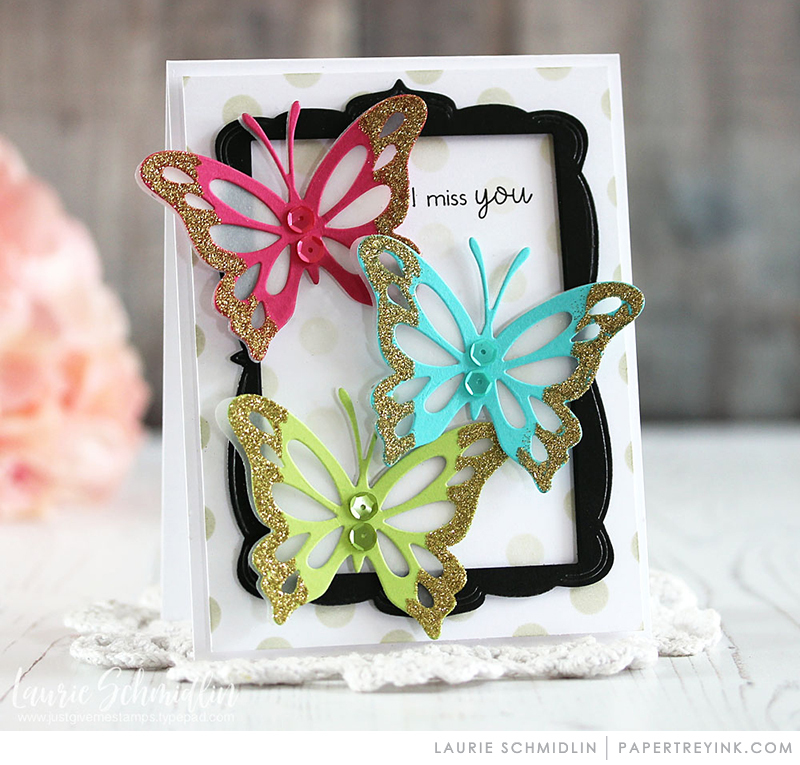 Really pretty cards Laurie! Hoping I can play along! I adore ” Farmer’s Market ” stamp set and love new applications for using this set. Beautiful vibrant colors! Well done, Laurie! 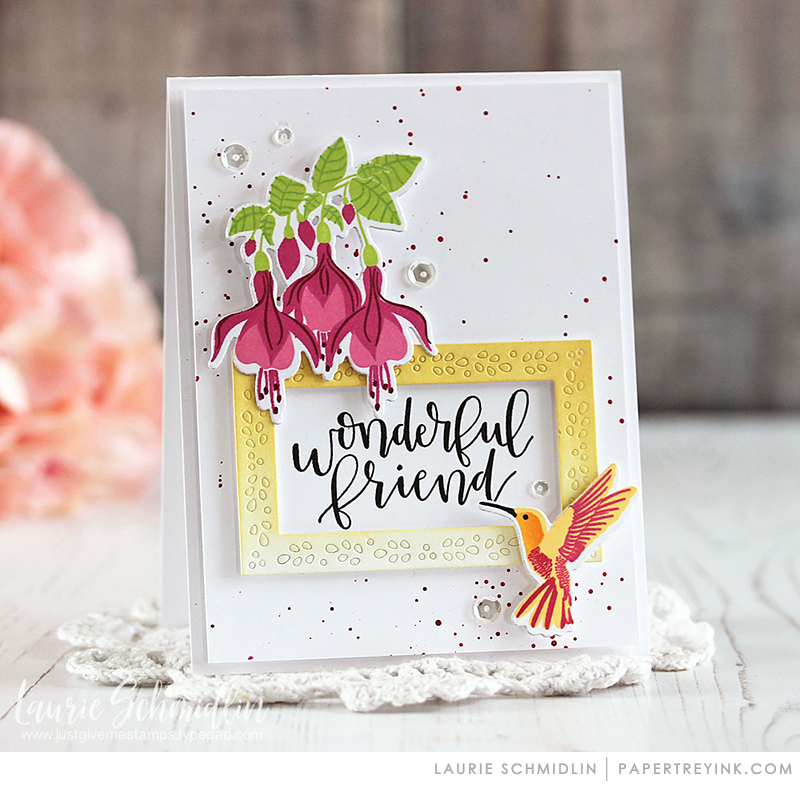 You make the prettiest cards, Laurie! 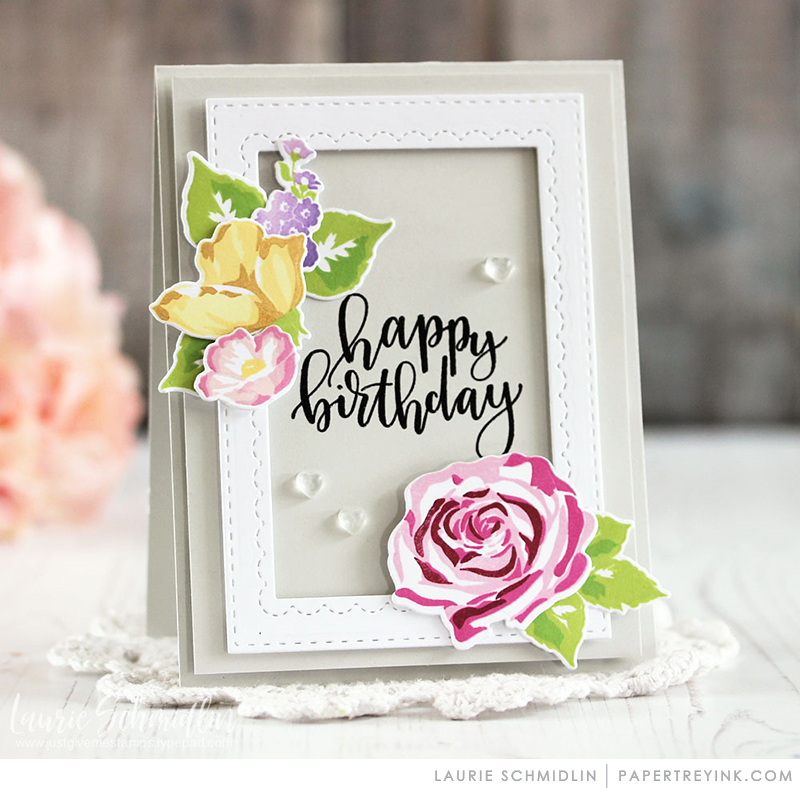 Beautiful cards, Laurie! I love the look of frames, too, & often keep my dies taped together once I get them straight to make a frame. Of course, then I have to take them apart if I want to just use one. My PTI order that’s coming has a set of frame dies–yah! Just stunning, Laurie! The ‘Penned Elegance’ stamps and dies and ‘Noted Scallops’ dies are already on their way. I can’t wait to create some framed sentiments! 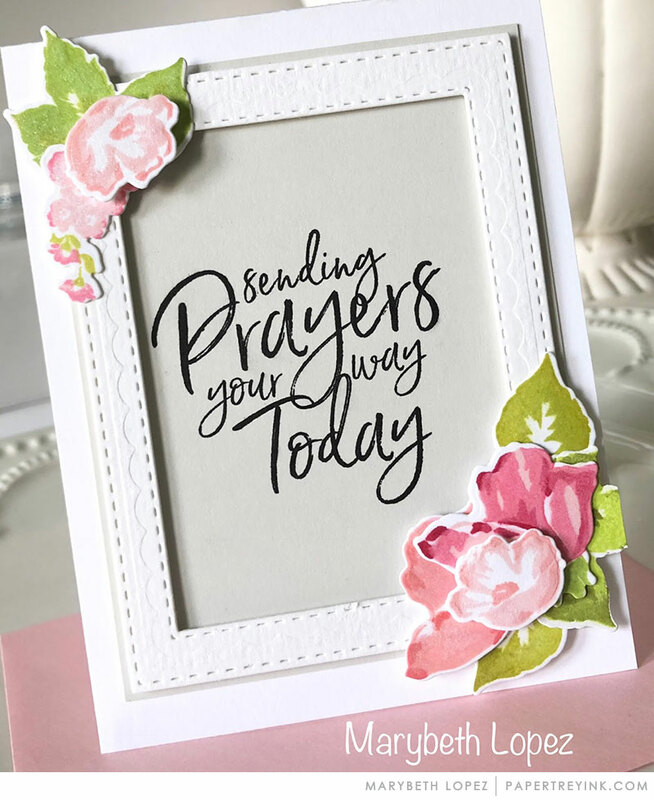 My garden is covered in snow, so I’ve also been adding lots of blossoms to my cards lately. Thank you for the wonderful inspiration today, Laurie! ? Laurie, I adore your cards!! Wow! Such beautiful cards! I will have try this technique. I have never thought of using frame dies in this way. I also like the dimension the foam dots give to the cards. Thanks so much for the idea! Good inspiration, I’ve made two others with that theme in mind. Thank you.